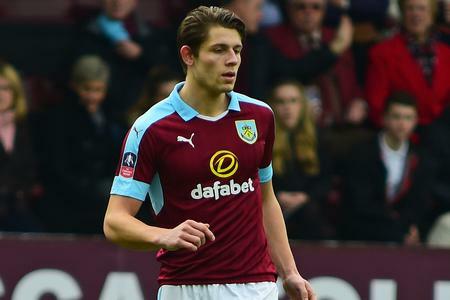 Chelsea and Arsenal are reportedly in a two–way battle to sign James Tarwoski from Burnley according to reports from Daily Express. The English Midfielder who began his career at lower league side Oldham Athletic where he made 89 appearances before a switch to Brentford has been instrumental in the heart of Burnley’s defence and this has led to speculation that the Premier league top clubs might seek to prize him away during the January Transfer Window. The 25 year old center half is presently serving a three-match ban after being charged for violent conduct in the goalless draw against Brighton Athletic, however his temperament has not deterred his suitors, with Chelsea and Manchester City losing out to Liverpool in the race to sign Dutchman Virgil Van Dijk yesterday. Arsenal are in dire need of a world-class center half as the likes of Per Mertesacker and Laurent Koscielny are on the odd side of 30. Chelsea are looking for a center half to replace David Luis who has been linked away from the club apparently due to a fallout with Chelsea’s manager Antonio Conte. Burnley have been one of the surprise packages in Europe this season, with the club comfortably in the top half in the premier league table, this is majorly due to their rock solid defence where Tarwoski has formed a strong partnership with Ben Mee, hence Tarwoski would a great addition to any of the top side’s defence, although the question will be whether he is an upgrade to the defensive options at the disposal of these top EPL sides.